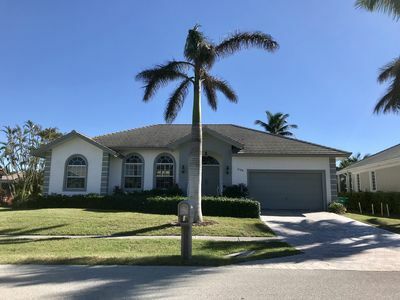 Marco Island Home w/ Heated Pool, Close to Beach! 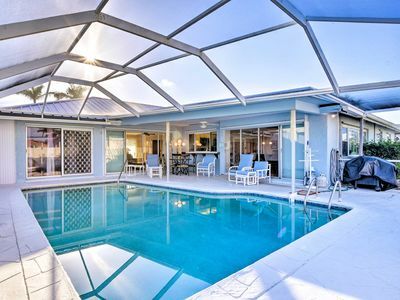 Experience Marco Island like never before at this lovely 3-bedroom, 3-bath vacation rental house just a short walk from the beach! 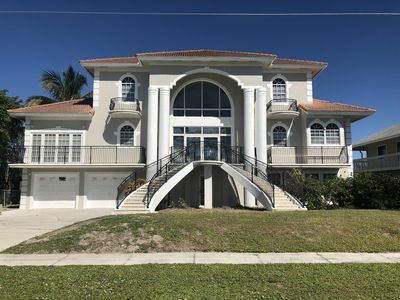 With enough space to comfortably sleep 6, this beachfront residence boasts a large sunken living room with a gas fireplace, sleek granite countertops, and a screened patio with a large heated pool. 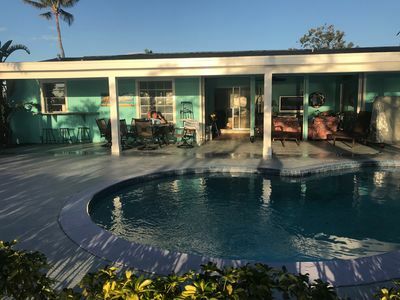 Rent a charter and deep sea fish in the Gulf, soak up the Florida sun on Tigertail Beach, or just relax by the private pool at this fantastic Southern Florida escape! 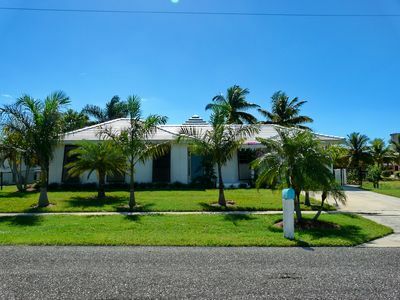 Nestled less than a mile from 2 pristine white-sand beaches, this single-story family home offers all beach essentials and a tastefully furnished interior design. 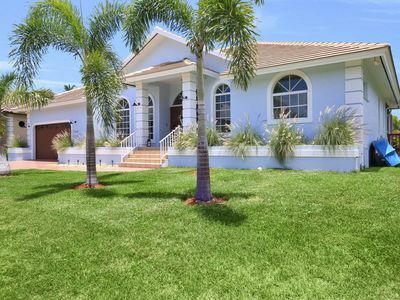 Step inside this 2,600-square-foot home and sink into one of the 2 aqua-blue living room sofas. 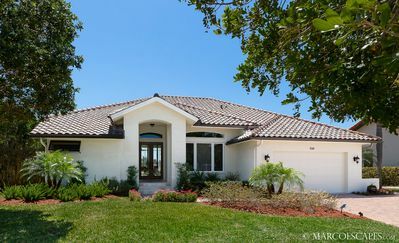 The open-concept living room and family room feature plenty of nautically themed accents, tall ceilings, and ample natural sunlight. Sip a freshly-brewed cup of Keurig coffee at the granite-topped breakfast bar and map out your trip! 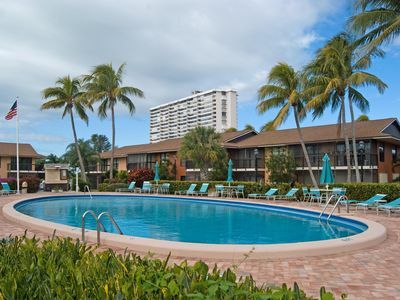 When you're not out exploring Marco Island, work on your tan by the private heated pool and have a cookout on the gas grill! The fenced-in backyard features plenty of privacy, comfortable sun chairs, and an outdoor dining space that is perfect for sunset dinners. After a sun-filled day, unwind by watching a show on the flat-screen TV in the living room or enjoying a peaceful read in the living room. As the group grows hungry, whip up a world-class meal in the fully equipped kitchen. You'll find all your cooking necessities, from modern appliances and ample counter space to every utensil you need for your favorite recipes! The kitchen now features brand new stainless steel appliances. Finish off the night by sipping post-dinner drinks by the gas fireplace in the family room and share highlights with your travel companions! With a king, queen, full, and twin beds, each of the 3 bedrooms cater to all kinds of different groups. If you're not quite ready for bed, draw a bubble bath in the master en-suite bathroom and let your worries soak away! 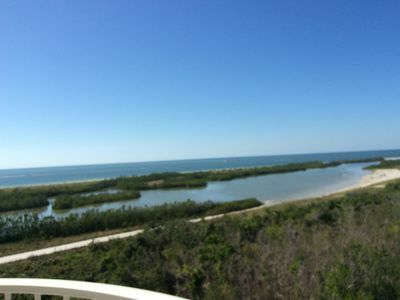 Grab the beach chairs and towels from the house and drive less than a mile to relax at Tigertail Beach. 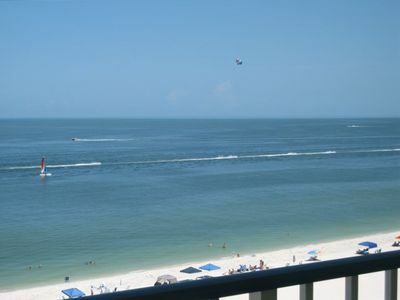 This wide white-sand beach boasts plenty of scenic spots for a picnic, beautiful areas to swim in the Gulf of Mexico and so much more! 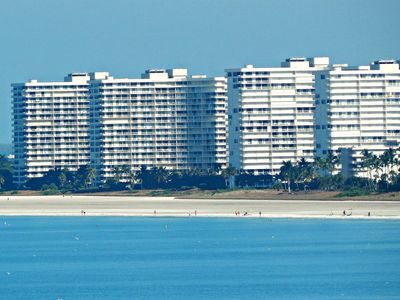 The central Marco Island Beach is also a short drive from your door! When you're not eating at the property, experience a meal at one of the delicious local restaurants on the island. Some of the local hot spots include The Oyster Society, Fin Bistro, Dolphin Tiki Bar & Grill, Da Vinci Ristorante Italiano, Ario, Philly Grille, Little Bar Restaurant, and many more. Be sure to grab dessert at Sweet Annie's. If you're looking to reel in a trophy fish while you're in town, look no further than Carole Ann II Charters. Captain Scott, who knows these waters like the back of his hand, and his first mate Jeff are sure to help you reel in the fish of your dreams. If they are booked, check out Six Chuter Charters! 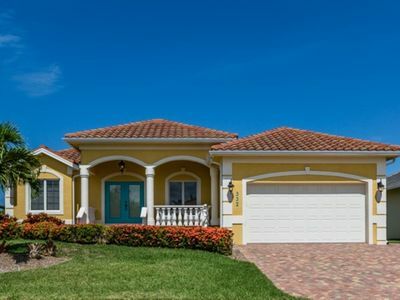 The homeowners love walking the scenic beaches and collecting their favorite shells. 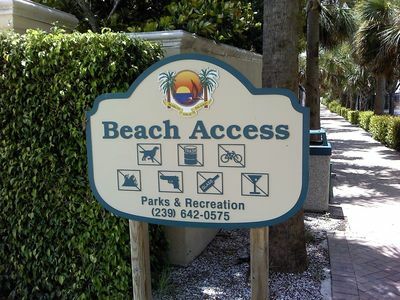 Some other ideas for fun include visiting a nature preserve, taking a sunset or sunrise kayak tour, and playing golf at the Island Country Club. 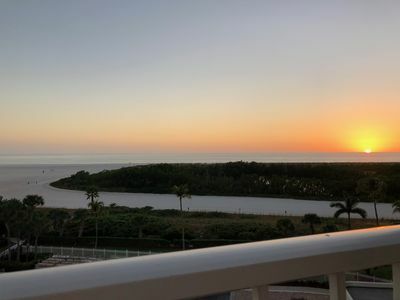 - Fantastic Marco Island location - Less than a mile from Tigertail Beach, close to the central Marco Island Beach, fishing companies, watersports rentals, top-notch restaurants, and much more! 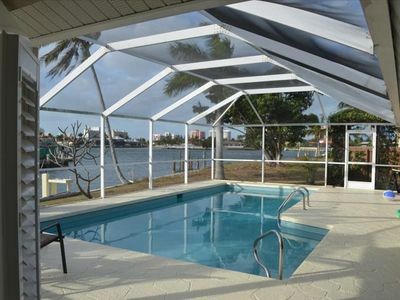 4 BR, 2.5 BA Remodeled Luxury Waterfront Home, Pool & Dock! 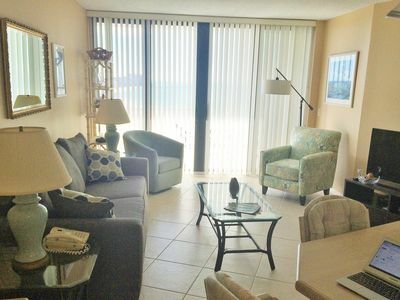 PIÑA DEL SOL - Clean, Coastal, Inviting, Flooded with Sun! 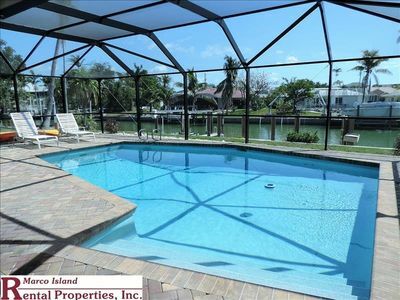 Waterfront home with heated pool, southern exposure, walk to the beach! 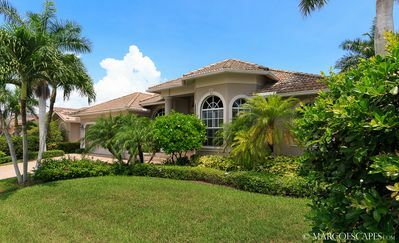 Waterfront vacation home with GORGEOUS views!!! 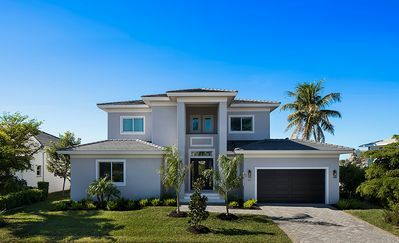 End-Unit w/Wraparound Balcony! 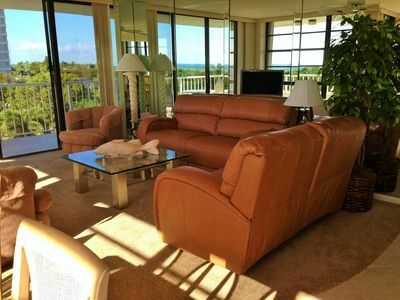 SW Views of BeaUtiful Gulf + Beach!! 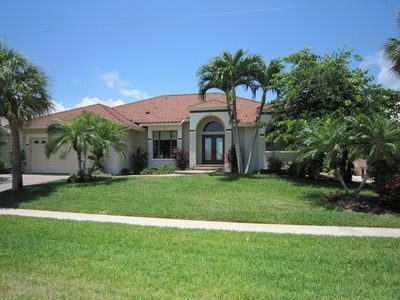 BELLA ALIA - Modern Florida Contemporary Defined; Southwest Exposure!